Google Inbox is still in invite-only stage and promises a revolutionary change in the emailing system (or at least, the way you use Gmail). Is it worth the wait? Is it worth paying more than $200 on eBay to get an invitation? Will this be another flop like Google Wave and Google Buzz? From the first few days of using Inbox (both on Desktop and on my iPhone 6), I’m happy with the way Google Inbox is heading. It’s an all new workflow that you will have to adjust but overall, I have a very positive experience. 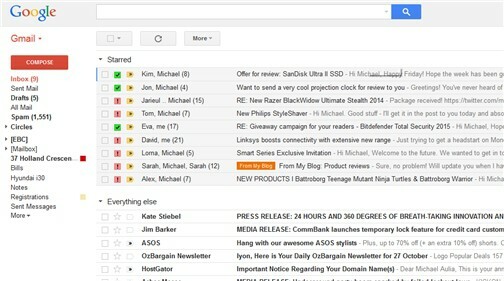 In Gmail, all emails have their own threads and if you get tons of emails a day, you can get overwhelmed (or an anxiety attack after a long holiday). In Google Inbox, it feels as if you have less emails and you know which ones to focus on first on a busy day. Whether this change is confusing to you or not, I can’t answer that because you need to give yourself a time to adjust to the new workflow and I don’t know how many “important vs unimportant” emails a day you normally have. You can teach Inbox to handle certain emails to go to a specific Bundle too. It’s a good practice for you as well to categorise which emails are more important and which are not. If you don’t like bundling emails, you can turn this feature off so you get individual emails instead of grouping them together. I like to keep my inbox clean. 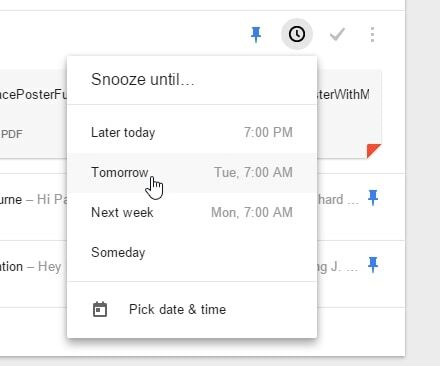 Apart from archiving every email that I won’t probably be looking at anymore (but I can search for them should I need to), I was longing for a snooze feature. For example, when I have a gadget to review, I normally wouldn’t send a reply until the review was published. With the Snooze feature, I can now snooze these emails for a week or two so I can focus on what I need to reply on my inbox. 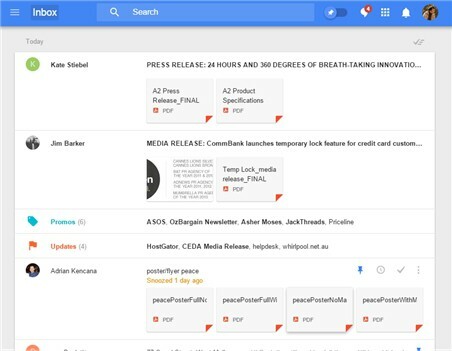 Like the way I starred my emails to mark them as important and my “to-dos”, Google Inbox offers a pinning tool to mark your important email threads. Pinned email threads won’t be on top but you can filter your inbox quickly to show just the pinned emails to grab that important email you’ve marked before (using the Pin icon on the top right). Sure, you probably have your own to-do app like Wunderlist, but having a direct reminder on the inbox for emailing purposes is far better. Google Inbox takes it further by automatically recognising a name and adding his/her email address into your reminder. When the Reminder pops up, you can click on the Email button to instantly compose a draft. Nifty. + I like that Gmail shortcuts still work (like “Shift-#” to delete and “E” to archive/mark as done). + Love the fresh, modern interface and typography. Our brains have been trained to instantly recognise our most recent emails being on the top of everything (or the other way around, if you prefer it that way). With Google Inbox, this is still the case somewhat, but some older emails that you haven’t marked as “Done” or sent to trash can appear on the top if a new email of the same Bundles category comes in. I like to keep my email threads clean. Sometimes you have a bit of a chat with your recipient in a serious email thread and it can take a while to go through all the conversations again to find that important information you need in that thread. I can normally select and remove an individual email from a thread in Gmail, but not in Inbox. Reminders are great but why not add a function to schedule your email drafts to send? Though you can use an extension to schedule your emails in Gmail, I wish Google can add this function officially one day. Perhaps there are some security reasons that hinder Google from giving us this nifty feature? 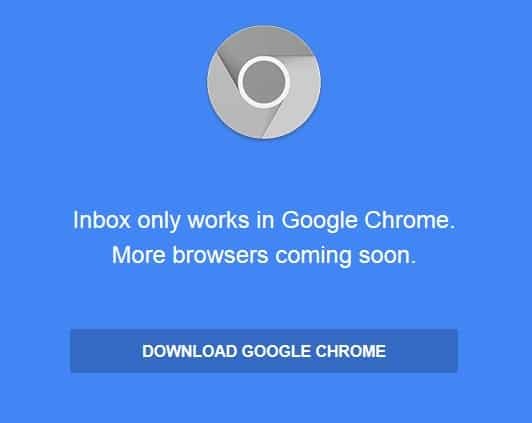 What’s a better way to force you to try out Google Chrome, eh? I’m sure more support will come to Firefox, Safari, Opera, IE, and all other browsers once the service is publicly launched though. – Can’t edit the quick date/time (such as “Later Today”, “Tomorrow”, and so on) on Snooze and Reminders. – I wish there is a bubble to show how many new emails I have (in Desktop mode). Sure, I can see the bold email subjects but my eyes may fail me at some point. – You can’t create your own Bundles, so you need to be happy with what you have. You can, however, create Labels and have similar functionality like Bundles. Overall, I think Google Inbox is heading to the right directions. I could go with Inbox for the past few days without feeling the urge to go back to Gmail (which I normally would do if I got shocked with a new, unworkable workflow).